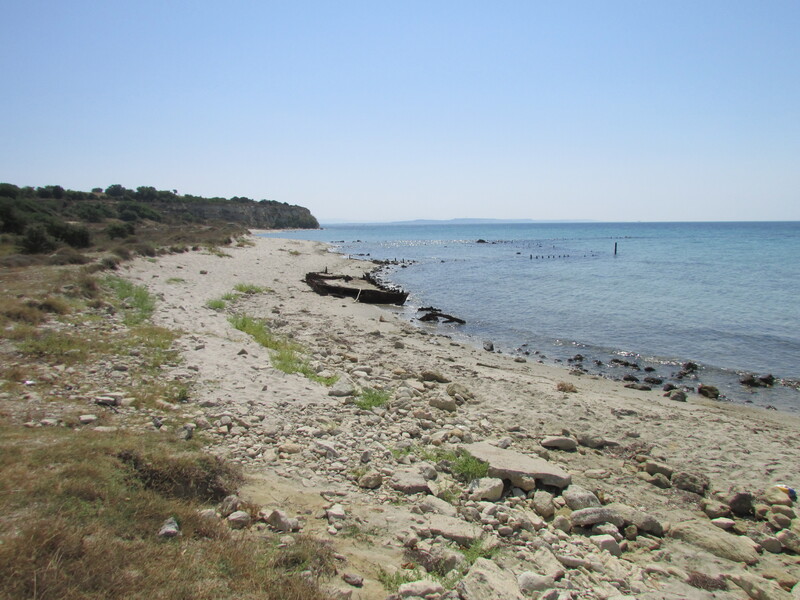 This general view of W Beach looks southwards back towards Cape Helles. The wrecked barge on the shore is easily identifiable, although it is sometimes almost completely covered by sand, depending on the time of year and the frequency of recent storms. The remnants of the landing pier supports are also evident in the water. Behind the camera, Tekke Burnu rises to a similar height as the southern cliff, meaning that the whole beach was covered by interlocking fire when the 1st Lancashire Fusiliers came ashore here on 25 April 1915.